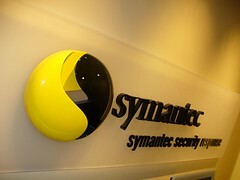 Symantec previewed its Norton Identity Client, part of the Symantec Identity Initiative at the DEMO conference yesterday. Symantec's Identity Initiative is a combination of services and software that addresses one of the most pressing problems facing consumers online today, managing their online identities and ensuring the security of online transactions everywhere. It's main goal is to create a universally accepted identity system across all web sites from online financial institutions to retailers for millions of consumers.